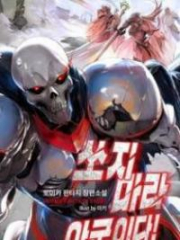 You’re reading novel Godly Student Chapter 164 online at LightNovelFree.com. Please use the follow button to get notification about the latest chapter next time when you visit LightNovelFree.com. Use F11 button to read novel in full-screen(PC only). Drop by anytime you want to read free – fast – latest novel. It’s great if you could leave a comment, share your opinion about the new chapters, new novel with others on the internet. We’ll do our best to bring you the finest, latest novel everyday. Enjoy! When they saw Cheng Yu was really standing there and waiting for them, all of them looked at each other in dismay. Xu Ruosong stood among them and he really wished to be the first to go up and try. But after much consideration, he decided to let others take the lead as he felt that Cheng Yu would never speak without thinking. After all, if he were to boast aimlessly and lost, Cheng Yu would no longer have the face to continue staying here. Wouldn't the Cheng Family take a huge loss then? Cheng Yu would definitely not do something so foolish. Therefore, Xu Ruosong felt that it was better to be safe than sorry. "What's wrong? This is your so called courage? Just like this and you want me to look highly upon you? If it's like that, you guys don't even have the qualifications to be my students," When Cheng Yu saw none of them dared to make a move, he agitated them unenthusiastically. "AAHHH!!" When they heard Cheng Yu mocking them, one of them took the lead and charged forward. However, when that man kicked, it was blocked by Cheng Yu softly. After that, Cheng Yu gave him a slap and he was thrown off the stage. Cheng Yu did not have the intention to hurt them. Therefore, even after he got thrown out, that man was not injured at all. When everyone saw that Cheng Yu possessed a skill or two, they no longer hesitated as a few of them chose to charge forward as well. Some used their fists while others used their legs. One attacking the upper body while the other attacking the lower body. However, Cheng Yu's legs were still motionless as if they were rooted to the ground. He only used his hands to stop their attack effortlessly. After that, all of them were sent flying by Cheng Yu. When they saw the situation, those instructors standing not far away were dumbstruck. This man was actually this powerful? The remaining members saw how powerful Cheng Yu was, they no longer had reservations and rushed together. Momentarily, Cheng Yu had been covered by punches and kicks. Cheng Yu was confronting all the attacks from different directions, but he was still at ease. He did not seem fl.u.s.tered like what they thought would happen. Furthermore, they saw how natural and elegant Cheng Yu's actions were. When the attacks landed on Cheng Yu, it was as if they hit silk. No matter how much force they put into it, they felt that they did not touch him at all, giving off a feeling of as if they were hitting air. However, what made them gloomier was that every time they were around a foot away from Cheng Yu, they felt an elastic force reflecting their strength back at them, causing them to get sent flying. A majority of them were unconvinced. After they got shot flying out, they would rush back in. However, within moments, they would get sent flying again. This caused the other instructors to be speechless when watching this scene. Cheng Yu had been surrounded by these members and they were not able to see Cheng Yu's situation. The only thing the instructors could see was that there were people rus.h.i.+ng forth and flying unceasingly. "Sister Ming, this Cheng Yu is too powerful. How come I feel that he is playing a game even though he is fighting against 40 people?" Xu Qing looked at the scene in front of her and was astonished. "This Cheng Yu was very strong. No wonder he was able to become the martial instructor of the Dragon Soul Squad even at such a young age. It's just that I have no idea how he became so strong even though he is still so young," Yang Ziming also agreed with what Xu Qing said. "Did he not say that if they were to listen to him, they would become stronger? I would really like to see how he is going to help them promote their strength," Xu Qing was very curious about Cheng Yu and also wished to see how Cheng Yu was going to promote their strength. Not long after, other than Cheng Yu, no one else was left standing. Cheng Yu did not strike heavily, but they were still unable to tolerate it after getting beaten up by Cheng Yu continuously. "What's wrong? Only a few moves and none of you can continue? Is there anyone who still wishes to continue?" Cheng Yu stood at his original spot and looked at those lying down on the floor as he smiled indifferently. "Instructor, you are really the most amazing person I have ever met. We are really convinced this time," Cheng Yu's unrivalled strength completely subdued all of them. After the pain, most of them were already looking forward to Cheng Yu's training. They also knew that it would be very difficult for them to increase their current potential. In their respective military regions, there were still a lot of veterans who were stronger than them. In the past, they would feel that all those veterans were very amazing and also think that it would be very difficult for them to achieve the strength they possessed. However, now that they experienced Cheng Yu's strength, there was another kind of thought arising in their inner hearts. If they were to get those old veterans here to train them, it would be difficult for them to achieve the strength the old veterans possessed. But Cheng Yu's strength had long surpa.s.sed those old veterans. If Cheng Yu was teaching them, would it mean that they can easily attain those old veterans' strength or even surpa.s.s it?! Thinking up to here, they got even more excited and got even expectant of the future training. They really wished that they would be able to commence their martial training right away. Seeing these people admitting their defeat, Cheng Yu finally moved. However, when Cheng Yu moved away from his original spot, those soldiers were in complete shock. Why? Because when Cheng Yu moved his feet away, they actually saw two footprints that were imprinted on the ground. "Instructor, how…how…how did you do that?! You are too valiant," Everyone looked at the footprints and had no idea how to describe their moods. "I said before, as long as you listen to my instructions, you will become stronger," Cheng Yu was very satisfied with their expressions and att.i.tudes. Only this way would they get to experience the disparity between Cheng Yu and them. If it was in the past, they would definitely be angry with Cheng Yu when Cheng Yu said that their martial arts were all miserable techniques. But now, none of them felt that way as they were embarra.s.sed and ashamed. All of them had been practicing their martial arts for dozens of years to reach their current level, but in front of Cheng Yu, they were just some miserable techniques. However, they felt that this was also something to rejoice. Since Cheng Yu felt that their techniques were miserable, then wouldn't it mean that they would be able to learn those techniques Cheng Yu approved? If they were able to practice to Cheng Yu's standards, wouldn't they become very amazing? "Instructor Liu, there should be nothing else, right? If this is all, I will make a move first," Cheng Yu walked to the front of those instructors and spoke to Liu Yan. After all, she was his chief, he must at least notify her about him leaving. "En. Today is meant for everyone to get familiar with each other. If everyone feel there's nothing left, all of you can disperse. However, I request all of the instructors to report to work on time tomorrow to receive your lesson schedule," After witnessing Cheng Yu's true abilities, Liu Yan no longer had the contempt she had for Cheng Yu previously. Regardless of what business or occupation, if one was able to exceed a normal person's comprehension in that domain, they would be worth respecting and would become greatly admired. The current Cheng Yu was such a person. "Ais.h. !.+ Instructor Cheng, can you tell me how you accomplished such a feat?" Xu Qing looked at the footprint and when she saw Cheng Yu was leaving, she quickly ran forward and asked curiously. "Why should I tell you?" Cheng Yu looked at Xu Qing's tall head, making her appear very capable and giving off a vibe of her being valiant and formidable-looking. "We will be colleagues in the future. It's very normal for colleagues to mutually understand each other. If I were to have a more in-depth understanding of you, in the future, it will be easier for us to work together," Xu Qing said. "En. What you said is somewhat reasonable. But if I were to explain it to you, it will be a long story. If you have time, we can look for a place and talk about it slowly," Cheng Yu smiled pervertedly, giving off a feeling of a big bad wolf looking at a pure and innocent small rabbit. "Hmph. Just a look and I can tell you are up to no good. I am not going! In any case, you will be here teaching these soldiers. 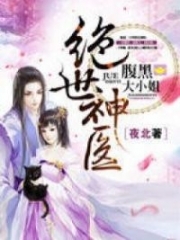 When the time comes, I will just have to find out myself," Xu Qing rolled her eyes at Cheng Yu before turning around and leaving. Cheng Yu smiled and no longer paid attention to it as he left the Capital Military HQ. In the morning, it was Cheng Ruilong's chauffeur who drove him here. Cheng Yu did not wish to call him over to send him home as well. Since he had nothing to do for the whole afternoon, Cheng Yu decided to take a stroll around the capital. "CHENG YU!" However, just when Cheng Yu distanced himself from the military headquarters, a voice echoed behind Cheng Yu. "It's you? Why are you here?" Cheng Yu turned around and took a look. He was slightly shocked because the person who called out to him was Ye Qing who he met yesterday. Cheng Yu had no idea how intimate the past Cheng Yu was with her. Furthermore, she already had a fiance now. He did not wish to be related to her in anyway. "I…I heard from your sister that you were here. Therefore, I came over to wait for you," Ever since Ye Qing saw Cheng Yu yesterday, her heart had been a complete mess. Above all, Cheng Yu had lost his memories, forgetting everything that happened between them. Now, he even had a girlfriend. Ye Qing was heartbroken but she was still in love with Cheng Yu. She wished to be together with him. "Why were you waiting for me?" Cheng Yu already had a rough idea what she was trying to do, but he had no idea what to talk with her about. "I…I just wished to take a look at you," Ye Qing was embarra.s.sed. She really wished to tell Cheng Yu that she wanted to be his girlfriend, but she had no idea how to phrase it. "Er…, Ye Qing, it's about time to forget some things that have happened in the past. You should also know that I already lost my memories. I really forgot everything that happened in the past. If you were to not tell me about it, I will really not know that I was acquainted with you in the past. Now that you also have a fiance, you should lead a happy life together with him," Hearing Ye Qing's words and seeing her pitiful look, Cheng Yu could no longer endure it, but there were still some words he chose not to speak of. "There is really nothing going on between Tang Xinping and I. It was my dad forcing me. I don't even like him a single bit. Don't misunderstand me," Ye Qing thought that Cheng Yu was misunderstanding the relations.h.i.+p between her and Tang Xinping, she quickly explained herself. "But regardless of that, I am no longer the past me. You are a stranger to me now. You being like this will only cause yourself to delve into the past more, making it harder for you to forget me." "I don't care. As long as you do not chase me away and let me accompany you, I believe you will fall in love with me once again," Ye Qing eyes reddened as she said. "You do know that I already have a girlfriend right?" "Sob!" Ye Qing no longer spoke as she lowered her head and sobbed periodically. Looking at her acting like this, Cheng Yu's heart also felt stifled by her actions. "Can you tell me exactly what kind of relations.h.i.+p we had previously?" Cheng Yu gave it a thought and asked. Cheng Yu was very curious. If the previous Cheng Yu had also loved Ye Qing or even cared for her, there should be a vague memory that remained inside Cheng Yu's heart. But deep inside his memories, there was no such woman. The only information that was still vivid in his mind was the girl he had impregnated. But in his mind, there was no recollection of the girl's name and appearance. 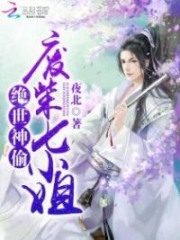 You're reading novel Godly Student Chapter 164 online at LightNovelFree.com. You can use the follow function to bookmark your favorite novel ( Only for registered users ). If you find any errors ( broken links, can't load photos, etc.. ), Please let us know so we can fix it as soon as possible. And when you start a conversation or debate about a certain topic with other people, please do not offend them just because you don't like their opinions. You're reading Godly Student Chapter 164. This novel has been translated by Updating. Author: Such Ink-like Blood,如墨似血 already has 1461 views. Current Time is Apr-19-2019 13:04:23 PM.